To find where to stay, traveler tips, more things to do, and more tourist information, go to the Singapore journey planning site . Surabaya, Indonesia to Singapore is an approximately 5.5-hour flight. You can also do a combination of flight and bus; or do a combination of train and ferry. Traveling from Surabaya to Singapore, you'll lose 1 hour due to the time zone difference. In January in Singapore, expect temperatures between 36°C during the day and 29°C at night. Finish your sightseeing early on the 27th (Mon) so you can travel to Tokyo. To see maps, reviews, traveler tips, and more tourist information, use the Tokyo journey planner. Traveling by flight from Singapore to Tokyo takes 10.5 hours. Alternatively, you can do a combination of flight and train; or do a combination of flight, taxi, and train. The time zone changes from Singapore Time to Japan Standard Time, which is usually a 1 hour difference. Plan for much colder temperatures traveling from Singapore in January, with highs in Tokyo at 11°C and lows at 1°C. You will leave for Sapporo on the 28th (Tue). You've added Sapporo JR Tower Observatory T38, Historical Village of Hokkaido (Kaitaku-no Mura), Shiroi Koibito Park, and other attractions to your itinerary. Start off your visit on the 28th (Tue): get a sense of history and politics at Former Hokkaido Government Office Building, get a dose of culture at Sapporo Snow Festival, get great views at Sapporo TV Tower, take in panoramic vistas at Sapporo JR Tower Observatory T38, then don't miss a visit to Clock Tower (Tokei-dai), and finally take a stroll around Sapporo Underground Pedestrian Space. Get ready for a full day of sightseeing on the next day: fly down the slopes at Mt. Okura Observatory, get engrossed in the history at Historical Village of Hokkaido (Kaitaku-no Mura), get behind the scenes at Shiroi Koibito Park, then take in the spiritual surroundings of Hokkaido Jingu, then make a trip to Poplars at Hokkaido University, and finally take in the architecture and design of Hokkaido University Sapporo Campus. 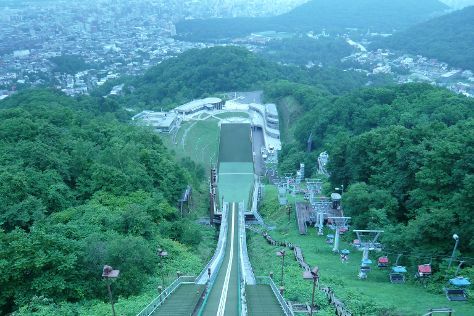 For ratings, more things to do, other places to visit, and other tourist information, read Sapporo travel route planner. Traveling by flight from Tokyo to Sapporo takes 4 hours. Alternatively, you can do a combination of train, taxi, and flight; or do a combination of flight and train. Expect colder weather when traveling from Tokyo in January: highs in Sapporo hover around -3°C, while lows dip to -6°C. You will have some time to spend on the 30th (Thu) before leaving for Otaru. Your list of things to see and do now includes Otaru Snow Light Path, Otaru Canal Cruise, Otaru Sakaimachi Street, and other attractions. Start off your visit on the 30th (Thu): pause for some serene contemplation at Tomioka Catholic Church, wander the streets of Marchen Intersection, contemplate the long history of Former Tomoyoshi Kamisei Store, then examine the collection at Otaru Orgel Museum 2nd Building Antique, then look for gifts at Otaru Sakaimachi Street, and finally buy something for everyone on your list at Kitaichi Outlet. Keep things going the next day: take a stroll through Otaru Miyakodori Shopping District, contemplate the long history of The Site of Temiya Line, don't miss a visit to JR Otaru Station, then do a tasting at Yoichi Wine Brewery, then hunt for treasures at Kakizaki Shoten, and finally get to know the fascinating history of Rita Road. For more things to do, other places to visit, reviews, and other tourist information, you can read our Otaru trip itinerary maker . You can drive from Sapporo to Otaru in an hour. Other options are to take a train; or take a bus. Expect a daytime high around -3°C in January, and nighttime lows around -6°C. On the 1st (Sat), you'll have the morning to explore before heading off to Niseko-cho. Popular historic sites such as Zenkoji Temple and Muroran Hachimangu Shrine are in your itinerary. 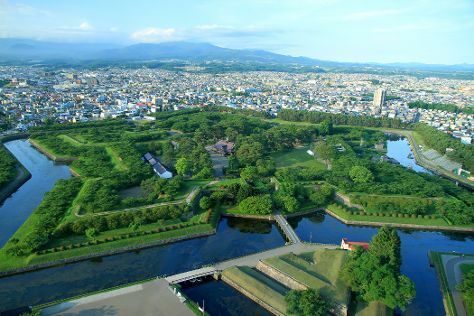 Do some cultural sightseeing at Kitakogane Kaizuka Historic Park and Arishima Memorial Center. Change things up with these side-trips from Niseko-cho: Rusutsu-mura (Rusutsu Resort Ski & Rusutsu Resort), Fukidashi Park (in Kyogoku-cho) and Toyako-cho (Toyako Volcano Science Museum & Silo Viewing Platform). There's still lots to do: hit the slopes at Niseko Mountain Resort Grand Hirafu Ski Place, admire the masterpieces at Keiyu Nishimura Museum of Art, take an in-depth tour of Iwanaicho Folk Museum, and tour the pleasant surroundings at Niseko Village Ski Resort. To see reviews, traveler tips, more things to do, and more tourist information, go to the Niseko-cho travel route app . You can drive from Otaru to Niseko-cho in 2 hours. February in Niseko-cho sees daily highs of 1°C and lows of -4°C at night. Wrap up your sightseeing by early afternoon on the 4th (Tue) to allow time for travel to Hakodate. Start off your visit on the 4th (Tue): contemplate the long history of Goryokaku Park, enjoy breathtaking views from Goryokaku Tower, don't miss a visit to The Birthplace of Yunokawa Hot Springs, then take in the spiritual surroundings of Trappistine Monasteries, and finally get to know the fascinating history of Motomachi. On the next day, take in the awesome beauty at Mount Hakodate, admire the striking features of Kyu Soma-tei, contemplate the long history of The Old Public Hall of Hakodate Ward, then pause for some serene contemplation at St.John's Church Hakodate, then take in the architecture and atmosphere at Hakodate Orthodox Church, and finally contemplate in the serene atmosphere at Motomachi Catholic Church. To see maps, traveler tips, photos, and tourist information, use the Hakodate trip planner . Getting from Niseko-cho to Hakodate by car takes about 3 hours. In February, plan for daily highs up to 1°C, and evening lows to -5°C. Wrap up your sightseeing by early afternoon on the 6th (Thu) to allow enough time to travel to Tokyo. 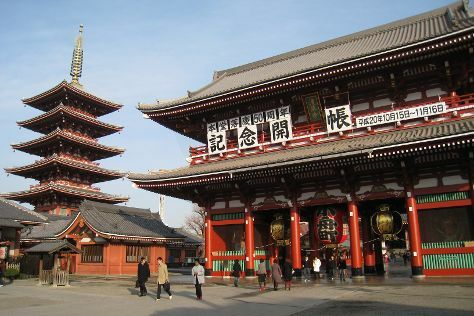 Satisfy your inner culture vulture at Senso-ji Temple and Imperial Palace. Give yourself a bit of retail therapy at Ginza and Art Jeunesse Akihabara. Explore the numerous day-trip ideas around Tokyo: Yokohama (Minato Mirai 21 & Yokohama Museum of Art), Kamakura (Hase-dera Temple, Tsurugaoka Hachimangu Shrine, & more) and Yokohama Chinatown (in Naka). See some other sides of Tokyo: explore the world behind art at Tokyo National Museum, wander the streets of Asakusa, admire the natural beauty at Shinjuku Gyoen National Garden, and see the interesting displays at Edo-Tokyo Museum. To find photos, other places to visit, more things to do, and other tourist information, you can read our Tokyo trip itinerary planner. You can fly from Hakodate to Tokyo in 3.5 hours. Alternatively, you can take a train; or drive. Traveling from Hakodate in February, things will get a bit warmer in Tokyo: highs are around 12°C and lows about 2°C. Cap off your sightseeing on the 10th (Mon) early enough to travel to Singapore. For other places to visit, maps, reviews, and more tourist information, refer to the Singapore day trip planner . You can fly from Tokyo to Singapore in 10.5 hours. Alternatively, you can do a combination of train and flight; or do a combination of train, taxi, and flight. The time zone difference when traveling from Tokyo to Singapore is minus 1 hour. Traveling from Tokyo in February, things will get much warmer in Singapore: highs are around 36°C and lows about 29°C. You'll set off for home on the 11th (Tue).